Sometimes when change comes it can be confusing. For an 83-year-old grandmother on the east side of Houston, Texas, the confusion came when a new highway extension, US Highway 90-A, opened up near her home. It was only a couple of days later that, somehow, she found herself driving east-bound on the west-bound side of the new highway with cars coming towards her at 65 miles per hour. Meanwhile, a Good Samaritan driving on the east-bound side of the divider noticed what was happening and called 9-1-1 from his cell phone. The 9-1-1 telecommunicator couldn’t locate him. The dispatcher, operating from the map she had in place, didn’t have the new highway extension in her records. The caller’s frustration grew because he assumed that when he called, 9-1-1 emergency responders would instantly know his location. Unfortunately, the incident came to an end in a fiery, head-on collision. Responders were able to eventually locate the crash by overriding the system, but it was too late. The telecommunicator was unable to locate the caller because the new highway extension was not in the GIS data representing the highway centerlines and had not been communicated to the 9-1-1 authorities. As a result, the Computer-Aided Dispatch (CAD) system had no indication of the highway extension. This fatal incident is a perfect demonstration of why the shift in 9-1-1 technology to Next Generation 9-1-1, or NG9-1-1, is necessary and will benefit emergency responses everywhere it’s implemented. One major upgrade in capability is that all communications will transmit across Internet Protocol, or IP, -based networks. This will enable all IP-based devices, more than just phones, access to the 9-1-1 system. 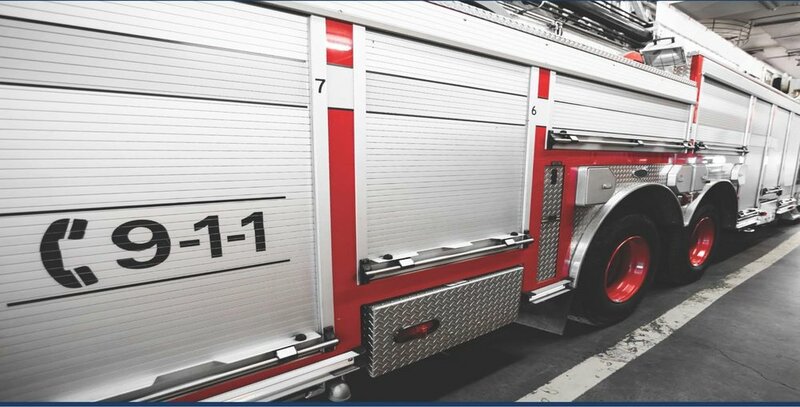 Transitioning from the current analogue communications to digital IP networks will also allow 9-1-1 call centers to receive additional information, such as pictures and texts, to augment emergency response. The mobile nature of today’s communication devices ratchets up the importance of location in the NG9-1-1 environment. The current Enhanced 9-1-1 (E9-1-1) system has evolved over the last forty-plus years, and was designed during a time when the only 9-1-1 calls received were from phones in a static location via transmitting twisted-pair copper wires. E9-1-1 was the industry’s answer to locating analogue calls from wireless phones using GPS and cell tower triangulation. E9-1-1 knew roughly where a caller was, and worked because the phones, or the interconnection of the cell tower to the wired phone network, never moved. With the advent of smartphones and the applications that have become an omnipresent component of everyday life, efforts to accurately locate 9-1-1 callers have not kept pace with the digital technology delivering the calls for service. Also during this time, the public’s expectation that the 9-1-1 system will instantaneously know their location and be accessible by means beyond voice communication has only grown. The fact is when you call 9-1-1 today from anything but a wireline phone it can take 45 to 90 seconds for the telecommunicator to locate the caller within approximately 150 feet. In the worst case, the telecommunicator will have the location of the wireless tower transmitting the call, which is quite possibly not the closest tower to the caller. In fact, the Federal Communications Commission’s Indoor Location Accuracy Benchmark rules only require 40 percent of all wireless 9-1-1 calls to be accompanied with a "dispatchable location," or x/y location, within about 150 feet, increasing to only 80 percent by 2021. In NG9-1-1, location-enabled devices will be able to send coordinates with the 9-1-1 call. This is where the world of spatial possibilities opens up. NG9-1-1 fully embraces GIS technology and brings it into the core of the 9-1-1 system. In NG9-1-1, core services like the Emergency Call Routing Function (ECRF) - a spatial query that answers the question, “Where do I send this call for service?” - and the Location Validation Function (LVF) - the primary mechanism to determine that a civic address location is valid for routing and dispatch - are mission critical. In order for these NG9-1-1 core services to function properly, an authoritative, GIS-based collection of features such as street centerlines, Public Safety Answer Point (PSAP) boundaries, emergency service provider (i.e. police, fire, EMS, etc.) boundaries and address points must exist. Additionally, these features must be built and maintained to higher levels of accuracy, precision, and temporal swiftness of maintenance than has been previously required by other enterprise GIS systems. If you’re a GIS professional in a local or regional government enterprise, this should be both very exciting and terrifying at the same time. On one hand, that return on investment you’ve been steadily building over the years is about go through the roof when your GIS database becomes (perhaps even more) mission critical. On the other hand, you realize that increasing the level of accuracy, precision, and temporal swiftness of maintenance is going to be a huge undertaking! Once this data is accurately compiled, you’ll have built the gold standard of location data that will not only benefit NG9-1-1 and other public safety systems but every enterprise system that deals with location. Let’s face facts, what system in your local or regional government enterprise doesn’t deal with location? Systems for almost every department are tracking location data in paper forms, spreadsheets, flat databases, and GIS databases already. This isn’t news to you, GIS professional, but now you have an opportunity to create a street centerline and addressing database that can service almost every partner in the enterprise system. The most impactful consequence to the GIS professional of this relating to data, at least, is moving your GIS data to a level of granularity that, more than likely, no other application has required to this point. Because the technology will exchange both coordinate-based and civic (i.e. structure address) locations, everyone’s civic location data will need to conform to a number of minimum requirements laid out in National Emergency Number Association (NENA) standards. Most notably, the not yet approved NG9-1-1 GIS Data Model standard (NENA-STA-006.1-201X) and the Civic Location Data Exchange Format (CLDXF - NENA-STA-004.1.1-2014). A thoughtful interpretation of these standards, working collaboratively with the professionals in your public safety communications center, will be necessary in order to have your GIS data participate in regional and/or statewide Emergency Services IP Networks (ESInets), whose core services, including the ECRF and LVF, will provide 9-1-1 call routing in an NG9-1-1 environment. In NG9-1-1 it is the liability of the government enterprise, namely the PSAP, to keep this GIS data up-to-date and the recommendation from NENA is that new, or changed, civic locations and their related GIS data should be available within three business days of their inception or change. 1938 Old Bayshore Hwy S.
This, of course, shouldn’t be done until your spatial accuracy is of sufficient quality. This only represents the technical work that must be done. One of the advantages, should you choose the optimistic lens to view this through, of these requirements is that it will provide an opportunity for cooperation with your neighboring jurisdictions. Once everyone develops the "gold standard” of location data, they need to share and compare with their neighbor’s data. There can be no spatial or attribute gaps or overlaps. From this the realization should be setting in that this isn’t really a technical problem…it’s a governance problem. The technology and expertise readily exists and if you’re reading this article in this forum you’ve already got (at least the rudiments of) the technology platform necessary in place. In this spirit, an important item to start working with neighboring jurisdictions on is boundary and street centerline edge-matching. In the ECRF, if a coordinate lands in a gap, no matter how small, it will be subject to default routing that will undoubtedly cause delayed response times. In order to avoid this, GIS professionals will need to work with parties from the necessary departments within the government enterprise to create PSAP and Emergency Service boundaries. Once these are created the cat-herding can begin. It’s more likely than not that within your region you’ll have more than one agency to agree upon these boundaries with. The reality is that many (if not most) government enterprises operate in silos, both internally and externally. These silos impact inter-departmental and inter-agency communication, data-sharing, and service to constituents. The solution to these issues is to build crosswalks connecting the silos. NENA Standards define three roles related to GIS data: 1) 9-1-1 Authority – mostly likely the PSAP but may also be a joint-powers authority of cooperating agencies – that is responsible for the overall coordination of the NG9-1-1 network, systems, and services, 2) Addressing Authority that is responsible for the assignment and maintenance of addresses, and 3) GIS Authority that is responsible for the creation and maintenance of the GIS data. It is worth noting that these same standards attribute the responsibility and liability for all of the necessary processes and data to the 9-1-1 authority whether by its own execution or delegation to a partner agency. NG9-1-1 will require these crosswalks to be built between these roles. These crosswalks, like increasing the accuracy and precision of your GIS data, will have many intangible benefits for the entire enterprise. It starts with a visit with your public safety/9-1-1 communications and addressing departments. These folks are familiar with NG9-1-1 concepts but may not fully appreciate what it means to have an authoritative GIS-based collection of the features mentioned earlier. It’s even more likely that they don’t have the basis to formulate what the level of effort will be to accomplish this task. A likely question in your mind is: When does all of this need to be done? The answer varies based on an agency’s value for being on the bleeding edge of technology. In California, the Governor’s Office of Emergency Services (Cal OES) 9-1-1 Communications Branch published its NG9-1-1 Transition Plan in July of 2017. Figure 1 shows a proposed schedule that begins with the installation of a statewide ESInet in 2018 and the installation of six regional ESInets to interconnect to the statewide ESInet, going through 2022. Whether or not this is a feasible plan will bear itself out in the coming months and years, but for the GIS professional the long and short of it is that you don’t have time to wait for a mandate. You need to tune the data you have and create the data you don’t as soon as possible. This is the GIS professional’s challenge: not only to provide GIS subject matter expertise and services but to educate your addressing and public safety/9-1-1 communications professionals on what you need to accommodate their needs. You can learn more about NG9-1-1 standards and first steps from the NENA website. An NG9-1-1 system wouldn’t prevent tragedies like the Houston case study from occurring, but it is designed to allow better access to life-saving public safety services for more people through new channels. And, it greatly improves the calltaker's, and thus the first responder's, ability to determine your location with ease. The great news for GIS professionals across the country is that it’s an opportunity for you to increase the level of meaningful contribution you make to your community! Jeff Ledbetter has been working with GIS technology since 1998, and in 9-1-1/Public Safety applications of GIS since 2009 when he joined the Greater Harris County 9-1-1 Emergency Network in Houston, TX as the GIS Manager. Since then, he's been the Program Manager for the San Diego Regional Public Safety Geodatabase program in San Diego, CA, and is now a Sr. Project Manager with Michael Baker International's Public Safety Solutions practice. Mr. Ledbetter focuses on GIS projects for NG9-1-1, Computer-Aided Dispatch, police/fire operations, and emergency management. Mr. Ledbetter is a member of the URISA NG9-1-1 Task Force and NENA's Additional Data workgroup, and holds certifications as a GIS Professional (GISP) and Program Management Professional (PMP). Michael Baker International is a full service GIS technology firm with services including NG9-1-1/public safety, mobile LiDAR, GIS consulting and app development from its California offices in Oakland, Rancho Cordova, Santa Ana, and San Diego. Kathrine Cargo is the GIS/Mapping Coordinator for the Orleans Parish Communication District in New Orleans, Louisiana. Ms. Cargo is a GISP, and former president of the Urban and Regional Information Systems Association (URISA). She is currently the chair of the URISA NG911 Task Force, and a member of the NENA Data Management Committee's GIS Data Stewardship Work Group.